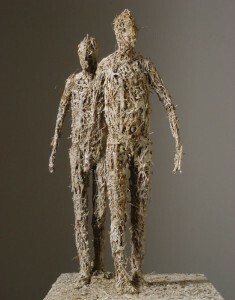 From September 2 to October 14, 2012, the Robert and Elaine Stein Galleries will feature richly textured sculptures and hauntingly dark prints by Texas artist James Sullivan. Sullivan’s intensely alluring works reflect the solitude of the human condition. 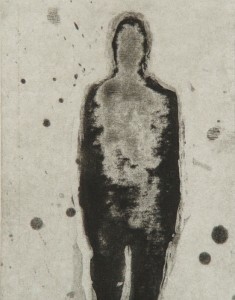 He explores issues of human consciousness and the physical presence of the body in his sculptures and prints. Sullivan’s drawings and prints often reflect on memory, solitude and intersections of various experiences. His current research is on the use of touch-based (haptic) computer modeling and 3-D digital printing to produce sculptures. Stefan Chinov, Wright State associate professor of art and art history, curated the exhibition. On Sunday, September 2, Sullivan will present a free public gallery talk at 3 p.m. in the Robert & Elaine Stein Galleries at Wright State’s Creative Arts Center, with a reception to follow until 5:30 p.m. The exhibition is made possible with support by the Ohio Arts Council, the Friends and Members of the Galleries and the Wright State University College of Liberal Arts. Sullivan graduated from Yale University in 1974 with a Bachelors of Arts in philosophy and went on to obtain his Masters of Fine Arts at California State University in 1979. 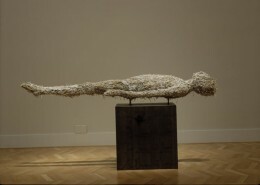 He is currently chair of the Sculpture and Design department at Meadows School of Arts, Southern Methodist University in Dallas, Texas, and is represented by Conduit Gallery in Texas. Gallery hours are Wednesday and Friday 10 a.m. to 4 p.m., Thursday 10 a.m. to 7 p.m., and Saturday and Sunday noon to 4 p.m. All visitor parking areas on campus are free, and parking at the Creative Arts Center is unrestricted after 4 p.m. Fridays and weekends. A dedicated parking space for Galleries patrons is available in Lot 15. All Galleries events are free and open to the public. For more information on upcoming events and exhibitions or for driving directions, visit http://www.wright.edu/artgalleries or call (937) 775-2978.